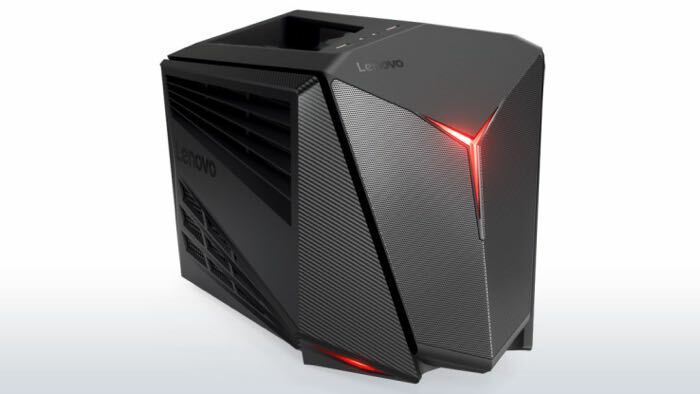 Lenovo has announced the launch of two new VR gaming PCs, the Lenovo IdeaCentre Y710 Cube and the IdeaCentre AIO Y910. Both of these new gaming PCs have been designed with VR in mind and come with a choice of top end hardware including Intel I7 processors, NVIDIA GeForce GTX 1080 graphics and up to 32GB of RAM. The IdeaCentre Y710 Cube comes with up to lightning-fast Killer™ DoubleShot™ Pro Wi-Fi, Windows® 10 Home, up to integrated Dolby Audio™ and up to 2TB HDD (hard disk drive) or up to 256GB SSD (solid state drive) storage, letting gamers enjoy their entire gaming libraries. For those who want even more control in their favorite games, the Cube also comes with the option of an integrated Xbox One™ Wireless receiver including one Xbox One Wireless controller. The receiver supports up to eight Xbox One controllers simultaneously for endless hours of gaming sessions with friends. Additionally, the system offers players the option to bundle peripherals like the Lenovo Y Series Gaming Mechanical Keyboard and Precision Mouse. You can find out more details about these new gaming PCs from Lenovo over at their website at the link below.